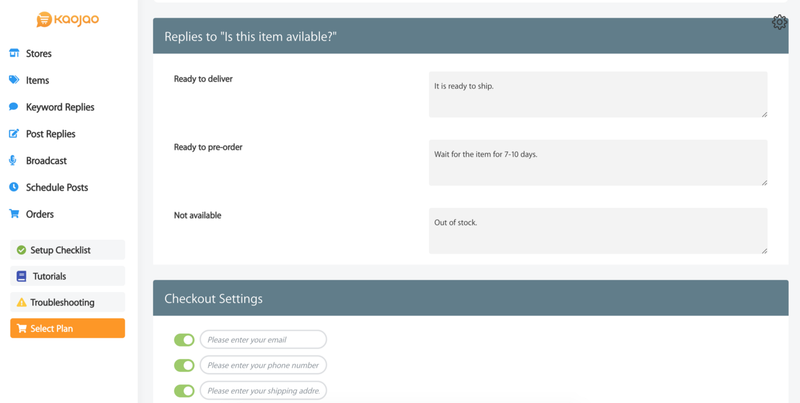 You can set up automatic responses for when your customers click "Is this item available?" 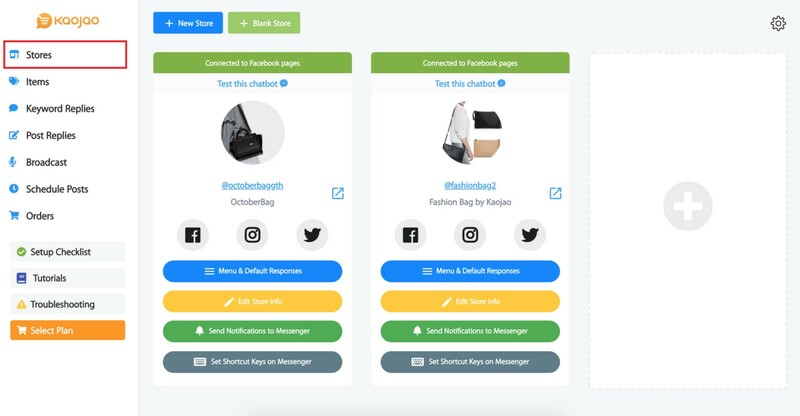 on your Messenger. 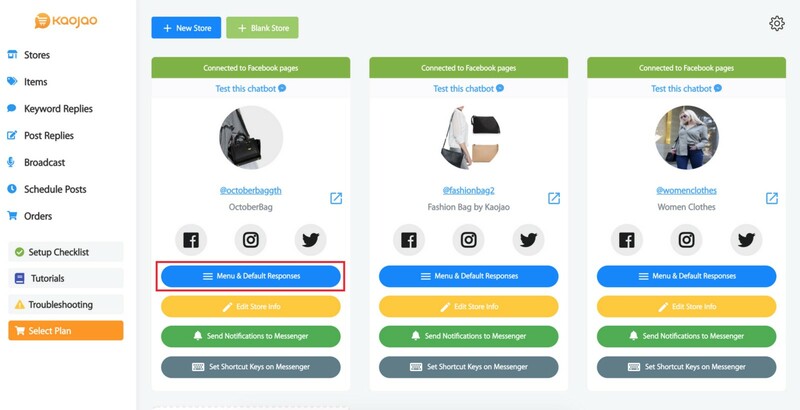 The chatbot will respond according to the current inventory status that you set. 1. 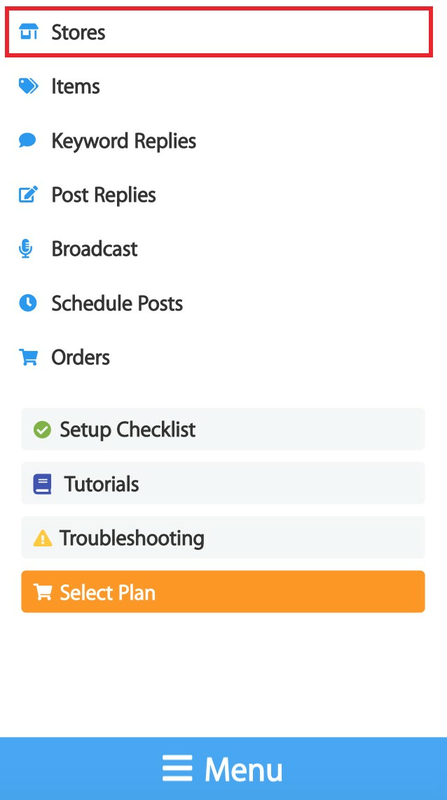 Select the ﻿"Stores" tab. 2. 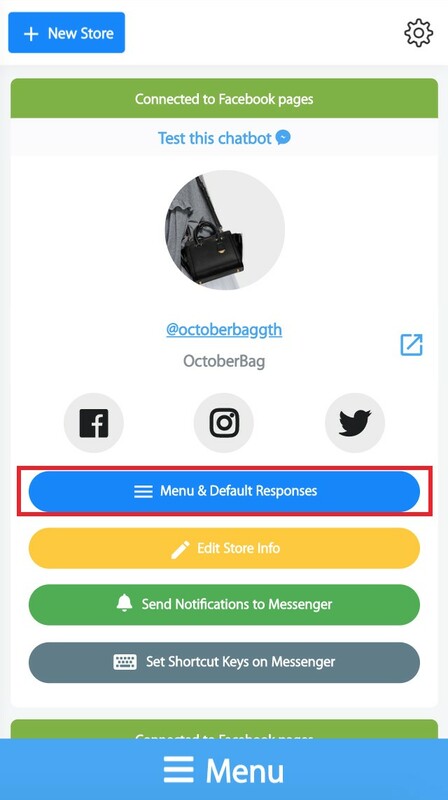 Select "Menu & Default Response." 3. 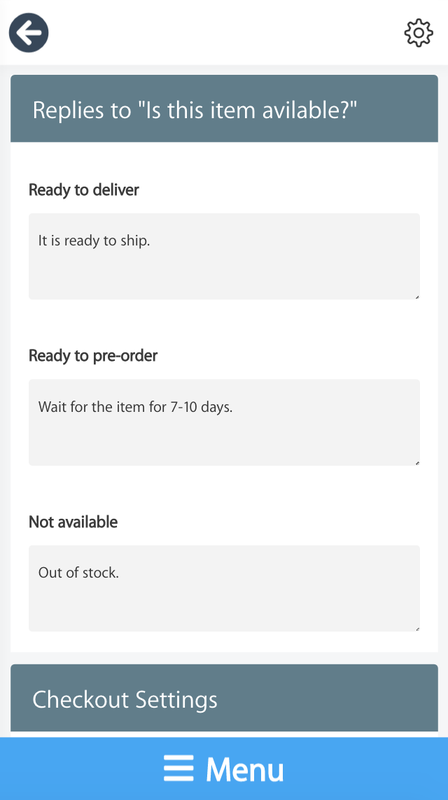 Set your responses for the following scenarios: "Ready to deliver," "Ready to pre-order," and "Not available." 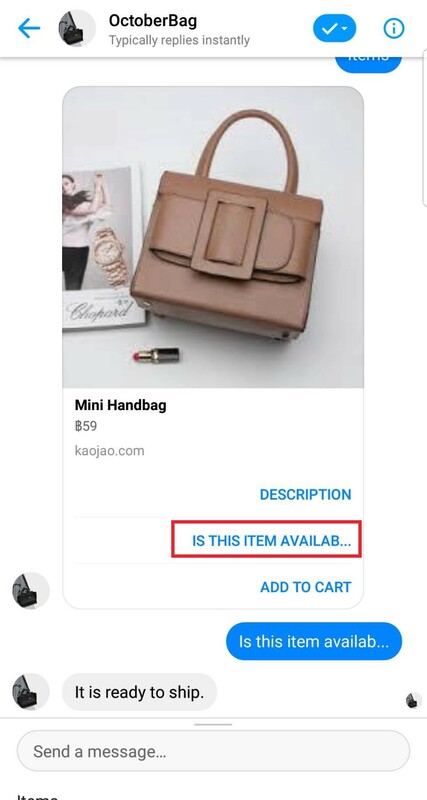 When the customer clicks on “Is this item available?” the chatbot will select the response based on the product inventory status that you set.